Following on from our recent blog post, How to Spruce Up Your Bedroom in Time for Spring, we’ve turned our attention to the kitchen, and have found some quick and easy ways that you can update one of the most used rooms in the home. A simple way to revamp your kitchen in time for spring is with the use of colour. Injecting a pop of colour will draw attention to the finer details in your kitchen, and by coordinating these colours, you can also maintain the sleek spring style that reflects this time of year. Lighter colours, such as pastel greens, yellows and pinks are perfect – try looking for tea towels, mugs or artwork in these colours. And, by only switching smaller components, moving through the year these items can be packed away and stored with ease, saving you money for many springs to come. In keeping with the freshness of the season, opting for sleek white units can illuminate your kitchen area and propose a clean, sharp interior look. 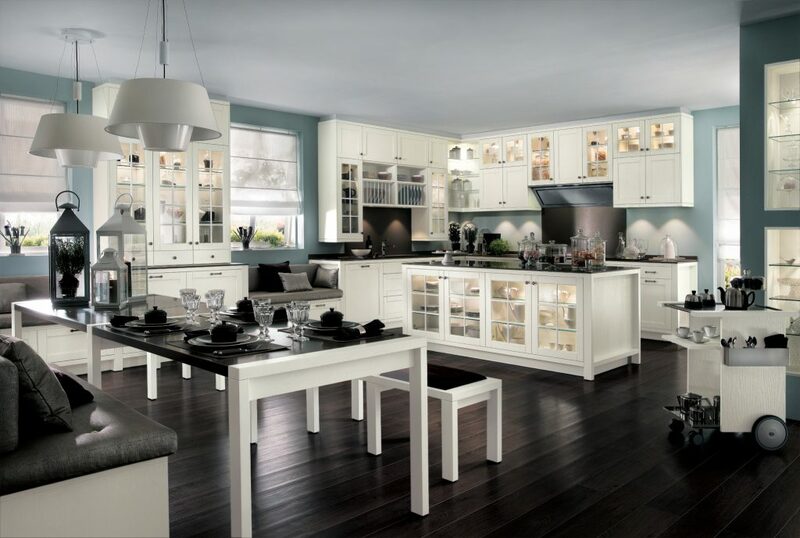 The white reflects innocence and purity; a theme which is heavily prevalent around spring, and in addition, white brightens up the room, ensuring that your kitchen is both welcoming and dazzling at the same time. 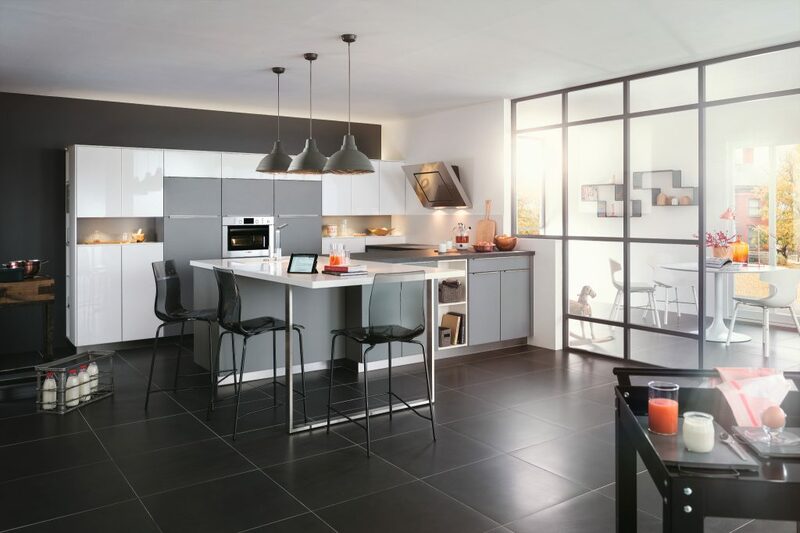 A simple way to achieve more from your kitchen is through the introduction of glass. This can be in the form of vases, ornaments or even glass topped units, which bring a bit more to your kitchen, as they reflect the natural light from outdoors perfectly, and illuminate a beautiful room. In addition, due to the nature of the versatile material, glass is often used to make a space appear enlarged. This means that whatever size of kitchen you are working with, the area is opened up further with prominent glass features. As previously mentioned, spring is known for many things: fresh flowers being one of the main ones. Year on year we look forward to spotting the daffodils budding in the fields, so why not bring these spring reminders into your home? Take a trip to your local florist and pick up a selection of the seasons most famous flowers. The pastel colours achieve both the spring colour pop that we have mentioned above, yet also emit a beautiful aroma within the kitchen, ensuring that whenever you walk into the room, you are greeted with a beautiful and fresh reminder of what season it is. Fabrics, often overlooked when styling a kitchen, are actually a very versatile component. From injecting your personal touch into the room in the form of patterned curtains to purchasing souvenir tea towels whenever away on a holiday, fabrics really are an opportunity to both spruce up a room yet also add your perfect finishing touches. Around springtime, opting for brighter colours and options will ensure that your style is right on trend. With a fresh update to the smaller components within your kitchen, you may be inspired to have a new look reflected across the entire room. Here at Panararmer, we can help with that, as our 35 years of experience ensures that we can bring your perfect kitchen in Cumbria, to life. Whatever updates you require – from stylish design to high-quality furniture, to a full installation – we are there to support you every step of the way. So contact us today, and see what new opportunities are available for your kitchen this spring.